The Holiday Season is always a good time to donate to worthy causes with most people willing to donate to their favorite charity. Unfortunately, it is also the time of year that scammers will try to obtain those donations under fraudulent circumstances. 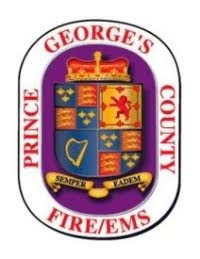 The Prince George’s County Fire/Emergency Medical Services Department has been made aware of a possible phone scam from an unknown individual or group representing themselves as members of the Fire/EMS services seeking donations. The Department has received inquiries from the public asking if we are familiar with a group identifying themselves as the “National Firefighters and Paramedics” or the “Burn Foundation.” The group asks for donations via credit card, checks or cash which the group is willing to come by your house or place of business to pick-up. The group is using a variety of phone numbers and when called back, an out-of-service message is received. They may be spoofing numbers to show up on your caller ID so you think they are legitimate. Some of the exchanges used are 240-394-XXXX, 301-804-XXXX and 301-329-XXXX. Several volunteer and paid members of our fire service have been contacted by this group. Our members quickly recognized the scam, hung up and reported the call. The problem with alerting consumers to this possible telephone scam is that there are legitimate charitable organizations that depend on telephone solicitation as a form of fundraising. The Prince George’s County Professional Firefighters and Paramedics Association Local 1619 is one of those organizations. If in doubt as to the authenticity of the calling charity it is best to decline the opportunity to donate to telephone solicitors and donate directly to the charity of your choice. One example is to stop by your local fire/EMS station and make a charitable donation to them directly. A list of Prince George’s County Fire/EMS Stations can be found by clicking here. Most of our volunteer entities do a mailing or door-to-door campaign for donations. For example, the volunteer members at the Branchville Volunteer Fire Company and Rescue Squad, Inc. in North College Park are scheduled to go door-to-door this Saturday, December 12, seeking donations. The District of Columbia Fire Fighters Burn Foundation is a legitimate charitable organization and are not using any form of telephone solicitation. To learn more about this valuable organization, click here. Please be extremely discretionary and careful when donating to a supposed charity over the phone. For additional tips on telephone and other scams please visit the Maryland Attorney Generals Page here and the Federal Trade Commission here.